Performance Art is considered as an artistic practice which is mainly in motion, where movement and actions are characteristic. Within the wide field of performance art one form is active since the 60s and perhaps not so much in focus of public recognition: The Still-Life Performance or the sculpture performance. Based on researches of sculpture this form is used throughout the times and played a distinct role in the development and the variety of performance art. One of the most inspirational quotes was made by James Lee Byars (1932-1997): “The perfect performance is to stand still”. In the two-day workshop we will research and experiment with the idea of sculpture as a source for performance concepts and ideas. Still-Life Performance, Slowmotion Performance, Endurance Performance, Sculpture Performances are terms which will lead us into a field where we try to condense artistic ideas into one performance image, situation or moment. What is needed and important to make a performative sculpture and where are the possibilities and challenges are questions which we will address in the workshop time. How does space, material, time and as well action generate and condense a vivid artistic idea into one performance images, one performance moment? 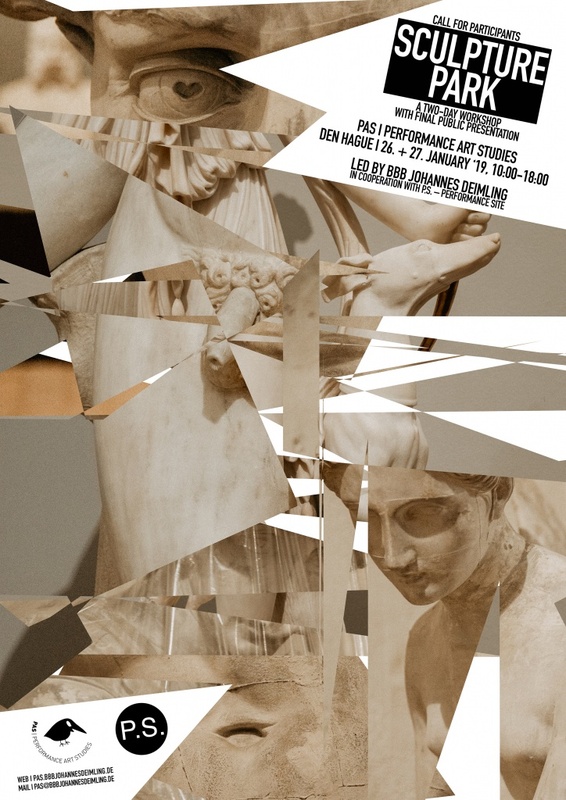 And how we can make use from the knowledge from Greek sculpture to contemporary positions? We will experiment with time and materials and see how far we can bring the idea of sculpture into performance art practice. At the end of this research we will present the performance sculptures in a public event called “Sculpture Park” in which the audience is free to roam in space and discover the processes of the different sculptures. We will finish the workshop with a reflection. As part of the workshop Jolanda Jansen will give an inspirational lecture which supports the made experiments and exercises.